At the New Jersey Walkin Medical Center we offer a full range of cosmetic and medical services for every type of skin condition, from pediatric skin care to skin cancer screening and treatment. to cosmetic and laser treatments. 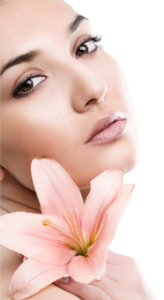 Our services include both medical and cosmetic treatments to resolve acne scarring, birthmark removal, or elimination of fine and deep wrinkles. We excel in returning your skin to its youthful, fresh appearance, and can offer Botox, Restylane, Radiesse and Juvederm treatment plans as well as chemical peels, photodynamic treatments, and the finest and most recently available laser treatments. Whether it’s handling a current outbreak of acne or removing acne scars, we have the experience, facilities, and know-how required to get your skin back to the finest it can be. We can examine your skin and work with you to determine the best course of treatment to eliminate or reduce the wrinkles, blemishes, and effects of aging that are keeping you from looking as young as you feel. With all the tools at our disposal, including fraxel, Vbeam® and GentleMax™ laser treatments, as well as IPL treatments we can return your skin to its youthful appearance in hardly any time at all and often with little recovery times. We can return the luster and firmness to your skin, often in as little as a lunch time visit, and you can return to your work or active social life almost immediately. We handle the youngest of clients with careful ease, and the most difficult cases with understanding and well-practiced confidence. We provide medical care for cases of eczema, psoriasis, and more, including extensive skin allergy testing. We also have a specialist in skin cancer and Mohs surgery and we have a state of the art Mohs facility with a laboratory on site. Please browse through our website to learn more about the many treatments we offer and a glimpse at the conditions we deal with daily. Our pleasant staff is always willing to answer any questions you have or to arrange for an office visit where your condition can be examined in a private and fully professional manner. No matter how embarrassed or worried you may be, you’ll find our attitude helpful and considerate, and our experience with cases similar to yours gives us and you a confidence that is apparent at once.